GEW Technologies (Pty) Ltd. , (previously known as Grintek Ewation) is a South African system engineering company established in 1968 and now a major supplier of innovative communication intelligence and security products and systems throughout the world. The company is privately owned with two main shareholders, the Airbus Group and Kunene Finance Company. GEW Technologies’ expertise lies in the conceptualisation, specification, development, implementation and support of systems for clients including government institutions, spectrum management authorities and national defence forces. The company specialises in: Electronic Support and Electronic Attack in the Communications domain; Spectrum monitoring and management solutions; Force protection; Border and infrastructure security; Logistic support services and training. GEW Technologies has extensive and modern in-house facilities: Development laboratories equipped with state-of-the-art equipment; Production and integration facilities; Environmental testing facilities; EMC testing laboratories; Vehicle installation facilities; Antenna test ranges. 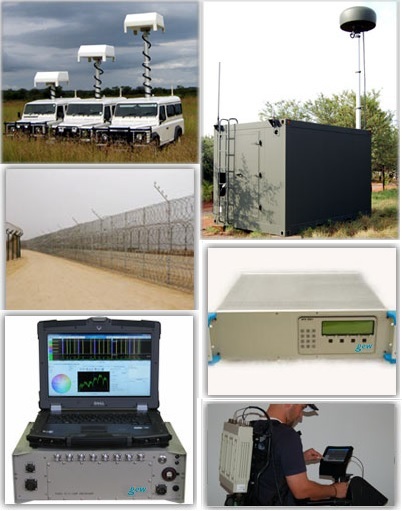 GEW Technologies has been the Electronic Warfare systems house for the South African National Defence Force (SANDF) for over 35 years. This solid foundation has been at the core of its international growth, and today its systems are exported and supported in many countries around the world. GEW Technologies is an ISO 9001 listed company and has received a number of awards for quality management, including the International Arch of Europe. It employs 280 people.